Normally a barcode on a supermarket item contains a 12 or 13 digit number (called the GTIN-12 or GTIN-13) the first 1 to 3 digits identifies the GS1 Country code, and the next few digits identifies the GS1 Company code, this information can be obtained from the global barcode registries at http://gepir.gs1.org. To find the name of the item, the whole GTIN must be looked up in a database which the supermarket maintains, and they in turn get the information from their suppliers. Members of the public can find the information by using barcode lookup services like ours or others just by searching on Google! A PLU sticker is a small sticker containing just 4 or 5 digits applied to individual pieces of fruit or vegetables that are sold loose. PLU codes help cashiers accurately identify and price items, since without the sticker they may not be able to determine whether an apple is a Fuji or a Gala variety or if it's been organically grown by looking at it and, since these two apples could be sold at different prices, it is obviously important for consumers and the supermarkets. 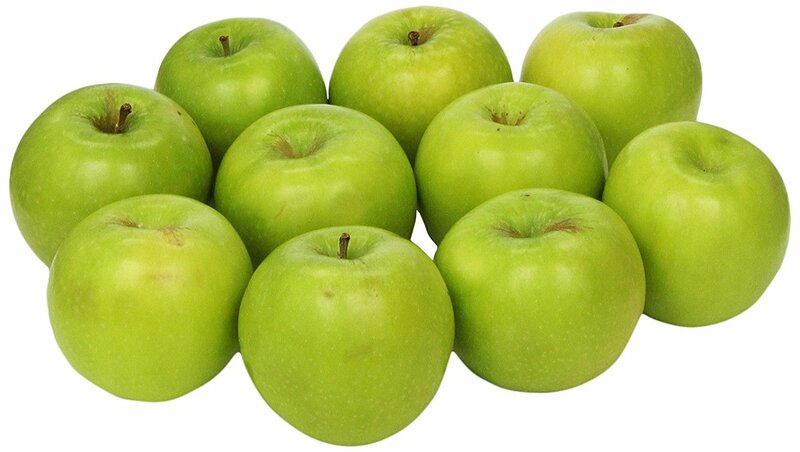 A complete list of Global PLU Codes is available on the Web at www.plucodes.com Organically grown produce have the prefix 9; for example conventionally grown Granny Smith Apples (Large) have a code 4017, and if organically grown would be 94017. Fresh fruit and vegetable when sold loose do not have to have a barcode, however pre-packaged fruit and vegetables general do. In the United States and Canada, Fresh Fruit and Vegetables are know as 'produce' and will be found in the supermarket 'produce aisle'; also, in the United States and Canada generic barcodes (Generic UPCs) exist for pre-packaged fresh produce. In 2013 some supermarkets requested suppliers to use their own company specific barcodes, but many generic barcodes are still in use. The barcode prefix '033383' is licensed by Produce Marketing Association (PMA) from GS1 US to be used to assign generic UPCs. A generic UPC only identifies the item by commodity name, variety, grade and pack size and type but does not identify the supplier. The list of around 12,000 item numbers and descriptions is maintained by PMA in UPC Online which is only available to subscribers. Items with a Generic barcode may also have a brand label, but the brand cannot be determined from the barcode alone. Coming soon! Our Search 'n Scan page will soon enable you to search for products by brand, and if you search on the brand 'PMA' you will find fresh produce that have generic UPC codes! 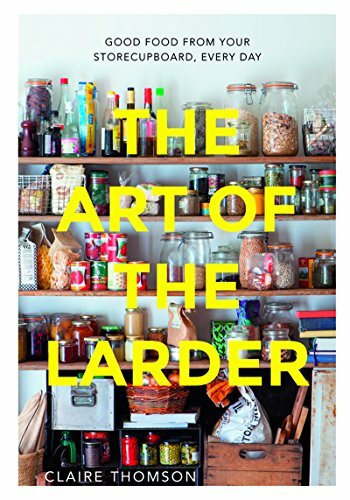 "The Art of the Larder" is the third book by Claire Thompson and a Kindle Edition is due for release 5 October! The Art of the Larder contains 150 dishes that offer everyday meal solutions, all with store cupboard basics at their heart. An organized, methodical and economical kitchen cupboard can be life-changing. Knowing that you can always have a simple, healthy, delicious meal at your fingertips will revolutionise the way you cook and shop. Dishes include buckwheat crêpes, sour cherry and pistachio pilaf, firecracker noodles, red lentil hummus, spiced Moroccan almond pastries, date and semolina bars, honey and nutmeg tea bread. The Art of the Larder is a vital cookbook in every kitchen! Since the Kindle app for Android is free we think the Kindle edition is a bargain! Of course we also think that having a well stocked larder (and freezer!) 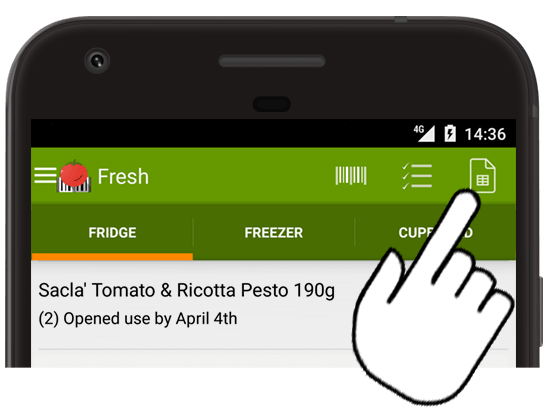 is essential, and think that our Fresh - Shopping Organizer app for Android is just the job for keeping track of what's in stock - and helps to avoid those annoying times when you've just bought yet another coriander refill when it was the cumin that had run out!